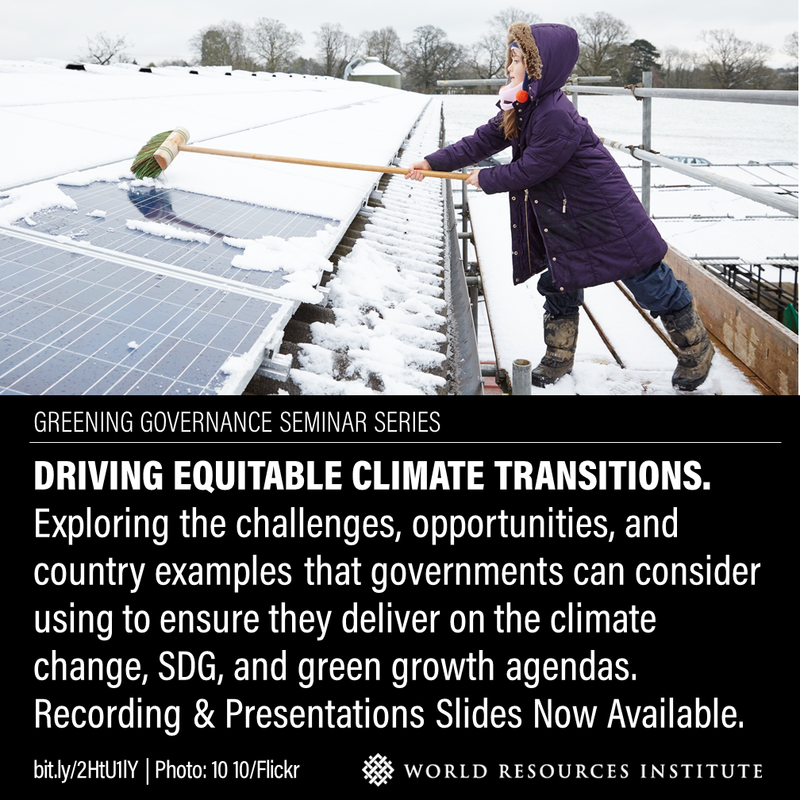 This seminar explores challenges, opportunities, and country examples that governments can consider using to ensure they deliver on the 2030 Agenda and the Paris goals. Countries must undergo economy-wide transformations to achieve the 2030 Agenda for Sustainable Development and the Paris Agreement. With emissions continuing to rise and climate events intensifying, the time to act and build strong green economies is now. In many countries, these transformative agendas, such as the Sustainable Development Goals, Nationally Determined Contributions and green growth strategies, are often pursued through governance frameworks with various institutional leadership. Driving overall transitions towards inclusive, carbon-neutral sustainable development involves moving away from siloed approaches and separate governmental bodies working independently from each other. Integrated governance frameworks are vital to address potential trade-offs and synergies between the goals of social inclusion, economic transformations, climate change mitigation, adaptation and ecosystem preservation.